Christmas is right around the corner ...It's the most wonderful season of all, and for the women of Christmas Lights, it's a time of magic, good cheer, and, most of all, family.In this collection, we meet Katherine, Julianna, Adrianna, Cassandra, Victoria, Alexandra, and Isabella-seven women each wishing for their very own Christmas miracle. From Katherine, who is caring for an ailing loved one, to Cassandra, the busy mother of toddlers, and Adrianna, struggling with the difficulties of marriage, to Victoria, who is searching for a love to call her own, these stories perfectly capture the heart and soul of the holiday spirit. 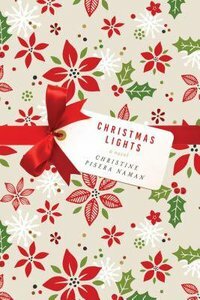 As Christmas Eve approaches, each woman strives to remember the reason for the season before coming together in a moving finale that celebrates the true meaning of Christmas.Full of festive cheer, Christmas Lights is the perfect stocking stuffer for fans of Debbie Macomber and Fannie Flagg-or anyone longing to rediscover the magic of Christmas. Christine Pisera Naman is the author of six books, including Faces of Hope, Faces of Hope Ten Years Later, Caterpillar Kisses, The Believers and Nine Day. She lives in Pittsburgh, Pennsylvania with her husband and three children.